LR Weapons always have something new and this month, for the We Love Roleplay event, LR is presenting a Hair comb, which is highly customizable and you guessed it, it is a weapon too! 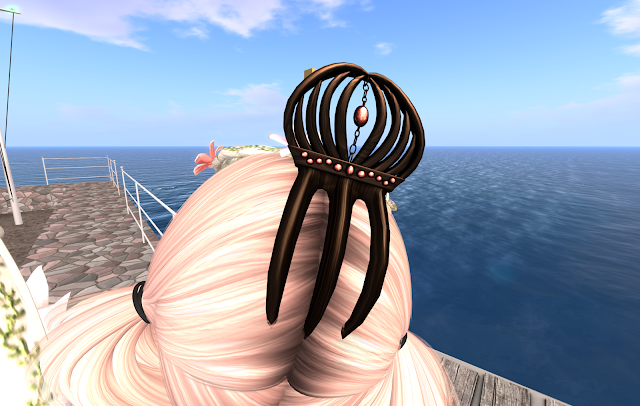 This is the dark version of the hair comb and take note of the center jewel piece in red, which can also be customized to many different colors using their HUD. This rest easily on most hair. 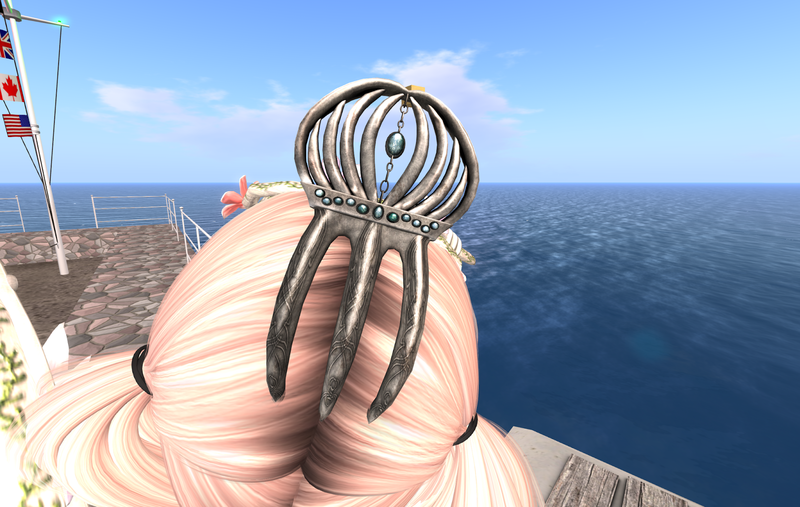 To show you some of the effects, here is the same hair comb, but in a lighter color and center jewel blue. That is almost like having a different hair comb altogether. This is the "sheathed" position for the comb, but of course it can also be drawn as well for combat. 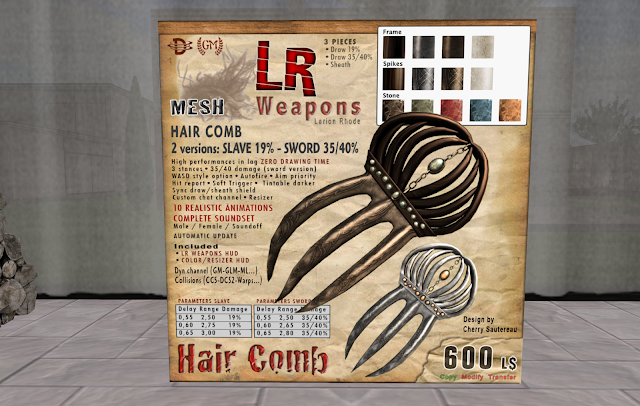 Excited to know just how much you can customized the hair comb? 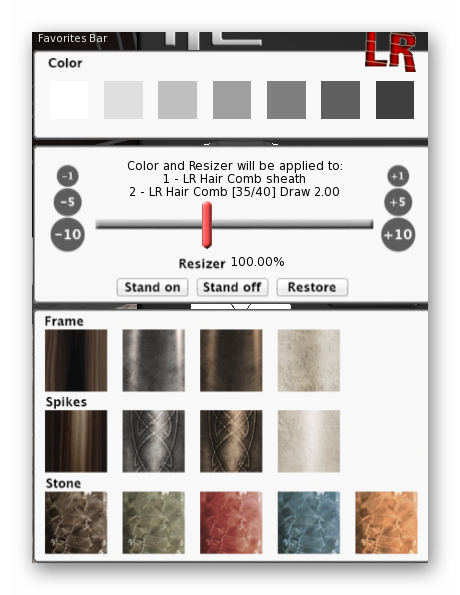 In the HUD, you can change size, and if color from black to white is not enough, you can always texture your comb from various selection for the frame, spikes and the jewel stone.